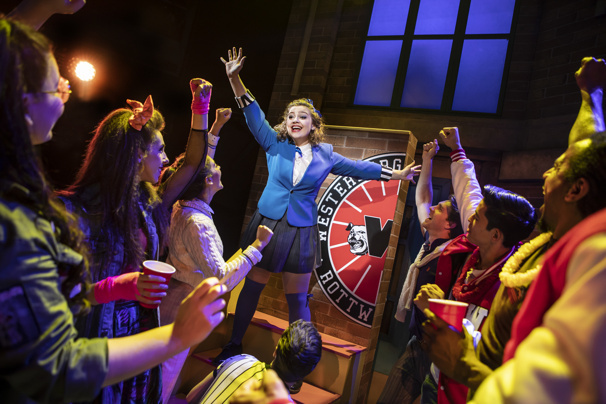 The London production of Heathers is transferring to the Theatre Royal Haymarket for a limited 12-week run. The musical, written by Laurence O’Keefe and Kevin Murphy, is based on the 1988 film of the same name. This production, directed by Andy Fickman, will play the West End from September 3 through November 24. Heathers made its European debut at London's The Other Palace on June 9 and will run there until August 4. Carrie Hope Fletcher, who is known for being the only actor to portray both young Éponine and adult Éponine in Les Misérables on the West End, stars as Veronica Sawyer and is set to reprise the role for the West End transfer. Heathers tells the story of Veroinca Sawyer and JD, a rebellious couple who decides to get back at the popular bullies by murdering them. The dark musical comedy explores topics like bullying, teen suicide, violence in school and sexuality. Gary Lloyd is set to choreograph the musical, which will feature\ design by David Shields, lighting by Ben Cracknell and sound by Dan Samson. Additional casting will be announced at a later date.